Sovereignty is a state of complete self-governance. Self-governance ultimately means ownership of and being responsible for your every thought, feeling, word and action. And to understand the consequences thereof energetically. Giving aspects of your personal power away to anyone or anything is counter to this process. And so it was I came to yet another realisation that too much co-dependent interaction with my celestial/galactic/inner earth friends can do as much damage in deterring me from my path, as any other physical relationship can. This was triggered while reading a channelled message by Eve on abundanthope.org from Inner Earth priest, Adama. He was chatting about the many surface women that feel they have a special connection to him personally, intimately. And he went a ways to explaining how this has little to do with him and everything to do with how we surface humans interpret things, feeding fantasies in the process. I thanked Eve personally for being the catalyst for this realization within. As I had been doing something similar with Lady Nada for some time. Not to say we don’t have a relationship. We do. But it was in my allowing something of a co-dependancy to develop that became a source of personal power leakage for me, detracting from my quest for personal sovereignty in the process. Somehow I’d put too much store into this one. And as I didn’t want to take on her or anyone else’s energetic signature as a sovereign co-creator, it was time to make some changes. Bringing the situation back into balance meant re-evaluating and assessing my relationship with all my Invisible Friends of the Light. And so there was a necessary period of disconnection. 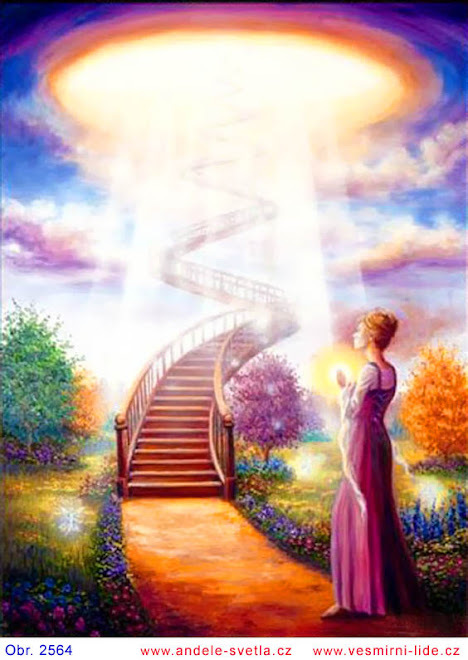 Because what was really happening at a deeper level was I was beginning to reconnect with my Golden Angel/Higher Self in a much more profound and necessary way. This came to me in retrospect. The relationship with our Golden Angels is perhaps the most significant relationship we can have and who’s guidance will ensure our safety and survival in both the immediate and long-term future. And one that is therefore worth putting much energy into developing, working with and listening to. Once we nurture this relationship and to the degree we’re able to surrender our ego self to our GA’s, we are more automatically able to live, experience and express the Christ and God within. In our thoughts, feelings, words and actions. So, this is my personal priority right now. Particularly as I’ve been hearing often lately: ‘You are about to step into your own shoes. Are you prepared’? And ‘Are you ready to take that giant leap of faith’? The past weeks this image has changed a little. Now it’s me more consciously jumping off the cliff, rather than just falling off of it. I’m taking it as a sign of progress, as I’m owing more of my actions in what I believe is required of me here. Ultimately, I feel this is about letting go and surrendering all of my lower will, fears, limits and beliefs of the negative ego to my GA. Then my lower will may take her rightful place as servant to my GA, for the first time in this lifetime. And thus may our experience as true Co-creators begin. Until then, the continued resolving of aspects of Self in separation or still subject to duality must continue towards unity consciousness or full consciousness. During a recent quick tele chat with one from another dimension, they referred to the reaching of full consciousness as ‘completing upon oneself’ and said this is the starting point for 5th dimensional consciousness. The phrase has become my flavour-of-the-year catchphrase.  We were discussing intimate relationships and some choices I've had to make again recently. Ultimately, I chose to go with what my GA wants for us as that will bring the best and highest possible outcome for this life's plan. When you have 'completed upon yourself’ (ie integrated all divisions within), you cannot be with someone who hasn't. It would be a non-match of vibrations. And ultimately unbalanced. Which in turn would breed all manner of difficulties. Karen Danrich (of ascendpress.org) has a magnificent take on the new intimate relationships. She looks at a kind of ‘before’ and ‘after’ of such relationships and what the new ones will need to encompass for the greater good of the Whole, for those who choose to go there. So while we’re still busy getting there and completing upon ourselves (told you it was my current flavourite! )and in readiness for the Other in our lives, I’ve discovered the best thing to do is the following: ask yourself what motivates the burning and yearning to be with some else in an intimate relationship is. You know, those moments when you feel incredibly lonely and don’t believe you can go on, unpartnered. Then intend with your helpers of the Light for the underlying cause (of those needs) to be brought up for you consciously and, once recognized, intend to release it. Thus this will integrate another aspect of your Wholeness that was previously lost to you. Work this technique on all intimate relationship needs that come up, distracting you. When you’ve done this successfully, you’ll know. Then the waiting for that special person and the loneliness you felt regularly will seemingly have disappeared, as if by magic! In the conscious state of unity. Like living in service, self-honesty and forever questing for that inner glow. All that which vibrates from a place of separation within. Who it is prophesized will be few. Q:Our relationship seems to have entered the mundane;we no longer inspire each other, we take each other for granted,are not open or honest in the way we once were with each other and distance and misstrust seems to have set in. What can we do? A:Because you haven't said any different, I'm assuming there are no external factors that may have contributed to your current relationship experience. Road blocks like these can help us reconnect in a more authentic way. First to ourselves and then to our partners. Perhaps our initial connection with each other was based on the other making us feel ‘safe’ and ‘complete’. And when we have that we often become comfortable and complacent. Which often invites stagnation in in turn. We need to ask: ‘Where are the places within where we don’t feel safe and complete. And why?’. As this is what motivated our need to be filled up externally in the first instance. You may want to blame something or someone outside of yourself for what is occurring. But the best contribution you can make to your relationship healing now is to explore where and when you stopped feeling safe, trusting and started feeling incomplete in your history. Once aware, memories trapped in your emotional bodies that have created such imbalances can begin being brought up for release. This will eventually lead to a more ‘whole’ relationship response by you. Here you'll have more of you to bring to a relationship and less needs to be filled by another. New era relationships avoid power imbalances, so having a partner who is equally responsible for him/herself emotionally is crucial to its success. Q: How much damage can resentment (from one or both partners) create in a relationship? And is this repairable if it has been going on for many years? A: Resentment is like a cancer that can eat away at the core of all that remains good in your togetherness. If you don’t understand it and allow it. It produces numerous symptoms, ranging from anger to withdrawal. As with much else that creates relationship havoc, it is a result of dishonesty and mistrust - mostly of the Self. Yet, to heal it is necessary to explore and purge this slow-cooking (e)motion at cause to ensure the relationship's forward movement. Rather than managing a symptom or two only to have resentment return down the line. If this happens, you'll know the root cause was not reached sufficiently. Additionally, acknowledging, separating, returning and fully owning which issues belong to whom, energetically-speaking, is the start of honouring the Self. Because the chief relationship that runs our external ones is the inner one we have first with our Selves. A decades-long preparation is about to pay off...I can feel it! I believe the future of all of our choosing is about to begin. I've never been convinced that being positive and performing rituals which comfort can alone answer the requirements of what's energetically needed to free ourselves from the 3rd Dimension/Fear Matrix. And the downside is these sometimes serve to keep us in that holding pattern of denial or idealism. I think of myself as an optimistic realist! Especially when I real-ised the work involved in growing ourselves. To answer this need I developed EmoAlchemy - a variation of the ancient mystery school teachings. Like the alchemy of old which involved the transmutation of base metals into gold, taking full advantage of the current Ascension offerings requires the turning of base emotional states into (the gold of) higher frequency ones. It means constantly reviewing, releasing and integrating imbalanced parts of yourself in order to have a physically-successful effect on your biology, subsequently 'awakening' your dormant DNA. And part of what we're needing to survive Earth's rising frequencies at this time. This year I've received loads of questions about the inner earth humans, life in their cities and their relationship to us. Of course, there have been some who have told me outright that I need to get myself to the nearest nuthouse asap! :-) But seriously, rather than relay what I've learned through an article, I thought it would be great to facilitate direct dialogue between you via channelled responses. To get the ball rolling, send your question/s so everyone can benefit. If you're thinking about it, chances are so is someone else! Q (KN): Do the inner earth beings need my help? 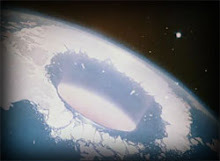 Q (SK): How on earth can humans survive in the inner earth? Isn't it too hot, and dark? A (Bohar): Your governments have farmed out so-called 'official lines' to top scientists and geophysicists to convey to the public on such questions. This is mostly the (dis)information that makes the mainstream media and helps decide public opinion on this and other topics. Yet, there's a growing group of independent scientists who understand and accept the earth as being a hollow entity. Rather than hot malten magma at the earth's core, heat is generated by our sun. You will find our Agarthan crystalline cities hundreds of miles into the interior. Powered by an inner earth sun, it creates both perfect warmth and light for our sustenance. Gravity, as you know it, ceases to exist - which accounts for our living in a timeless/ageless existence. Close to the surface entrances are a system of caverns. All manner of non 5th Dimensional beings reside there and yes, it is dark and dank in places. Q (Jules): How do we get there and what mode of transport do you use? A (Bohar):Numerous surface folk have tried to access the inner earth via various means over the past centuries. However, recently we've had to seal entrances in greater measure to prevent harm being inflicted on us by surface dwellers- mostly shadow government groups. Those that do come here either have a soul contract to do so or come due to to the upstanding nature of their character, which warrants access. We, ourselves, get around via our underground monorail vehicles or via our space shuttles when we leave this sphere. Here we make use of various surface entrances/exits including the North and South Poles. Q (Jules): I'm studying photography. Is it possible to capture images of your world with our digital camera technology, should we ever be able to visit? A (Bohar):We would only need to make some minor adjustment to your cameras to make them inner earth-friendly. We would also make another camera adjustment on your departure. Other than that, we see no problem with capturing images of our world, much as you do on the surface. READERS, SEND MORE QUESTIONS PLEASE. for some anecdotal evidence of the inner earth and history. And an enlarged version of the map above. for a slightly more scientific take on things.